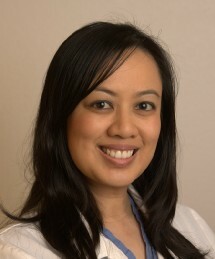 Dr. Suzanne Nguyen is our board certified pediatric dentist at San Jose Dental Specialists. Dr. Suzanne Nguyen grew up in Orange County and attended UC Irvine, where she received her Bachelors of Science (BS) degree in Biological Sciences. After graduating with top honors, Dr. Suzanne continued her education at UCLA for her Doctor of Dental Surgery (DDS) degree. Following dental school, she then completed two years of additional post-doctoral training exclusively for children at USC School of Dentistry and Long Beach Memorial Hospital. After receiving her Advanced Pediatric Dental Certificate from USC and LBMH, Dr. Suzanne pursued further advancement in her specialty by achieving the status of Diplomate of the American Board of Pediatric Dentistry. Dr. Suzanne’s specialized training helps her provide the most up-to-date and extra care for a wide variety of children’s dental problems. Dr. Suzanne encourages children to visit the dentist by the time they are a year old or when their first tooth erupts, whichever comes first. She believes in finding an individual “dental home” for each patient, where the ongoing relationship between the dentist and patient provides all aspects of oral health care as the child grows. These aspects include anticipating growth and development issues, diagnosing and treating oral diseases and conditions, dietary counseling, and referring to dental specialists. Dr. Suzanne is also trained and qualified in the management of child behavior and the provision of care utilizing various sedation modalities. Dr. Suzanne is a diplomate of the American Board of Pediatric Dentistry (ABPD), member of the American Dental Association (ADA), California Dental Association (CDA), American Academy of Pediatric Dentistry (AAPD), California Society of Pediatric Dentistry (CSPD), and Orange County Dental Society (OCDS). In her spare time, Dr. Suzanne enjoys spending time with her husband and son. She also likes to travel and do craft projects. Dr. Suzanne is passionate about improving oral health and looks forward to working with you and your child.